There is a pet food recall on an average of once every three months. The past month alone has seen at least two pet food product recalls and a “product withdrawal” (an under-the-table way of recalling product without the scary “recall” word being put in front of the public). Potentially toxic mold, omission of critical nutrients, over-or under-dosing of vitamins and minerals—all these are threats to the lives and health of our pets, and all have been present in pet foods in the very recent past. Over the past few years, two horrible pet food disasters stand out especially. The widespread presence of kidney-damaging melamine in pet foods made by Menu Foods, a subcontractor company that does food production for many well-known brands, caused an estimated 14,000+ dead and damaged pets in the US and Canada in 2006 and 2007. Melamine, a plastic used in dishes and fertilizer, was deliberately added by Chinese suppliers of wheat gluten, one ingredient in the pet foods, to falsify protein tests. In 2008, a very high-end brand of dry cat food was subjected to high levels of irradiation when imported to Australia, causing changes in the food that resulted in very severe neurological damage and ended in death for many cats whose families are still paying the costs. 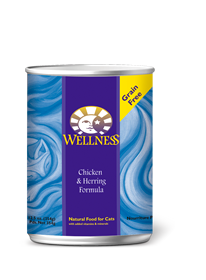 Many problems caused by pet food go undiagnosed or unreported. Eight dogs older than 1 yr. must start the test. At start all dogs must be normal weight & health. A blood test is to be taken from each dog at the start and finish of the test. For 6 months, the dogs used must only eat the food being tested. The dogs finishing the test must not lose more than 15% of their body weight. During the test, none of the dogs used are to die or be removed because of nutritional causes. Six of the 8 dogs starting must finish the test. Not very stringent standards, are they? All the food has to do to “meet standards” is not starve or kill your dog in six months. That’s all. Yet many pets eat the same food every day for fifteen to twenty years. And the members of AAFCO themselves are all members of the pet food industry. Talk about the fox guarding the henhouse! The FDA cannot issue mandatory recalls for pet food that is known to be unsafe. (In fact, the FDA has no authority to mandate a recall on anything but baby formula.) Recalls are at the discretion of the manufacturer. So a company that knows a given batch of pet food contains, say, fragments of metal from a machine that broke during a production run, is under no absolute obligation to do anything about it. And when customers call with complaints, the pet food company’s answer is almost always, “We have had no other complaints about that problem,” when in fact there may have been plenty of other complaints. If your pet is ill, contact your vet and let the vet know if you have reason to believe the food is causing a problem. Learn about pet food ingredients; what’s good, what’s bad, and where they come from. Carefully read the labels on your pet’s food. Save all receipts for pet food, and save the original packaging until the food is consumed by your pet. Become involved in advocating for safe, nutritious pet food. itchmoforums.com An active pet forum with information about food ingredients, recalls, specific product reviews and experiences. ItchmoForums does not receive corporate sponsorship or funding, and does not accept advertising. http://www.pfpsa.org Pet Food Products Safety Alliance, a consumer group that tests pet food and posts test results. Timeline for the Menu Foods recalls of 2007. Description and discussion of effects of irradiated food on Australian cats. http://www.consumeraffairs.com Consumer Affairs lists consumer complaints about a large variety of products, including pet foods. Search for your pet’s food on this site, and you may be surprised. Also publishes articles on pet food problems and recalls. FDA is providing the following information from Premium Edge Pet Foods to alert pet owners of a voluntary recall of certain cat foods manufactured by Diamond Pet Foods for Premium Edge. 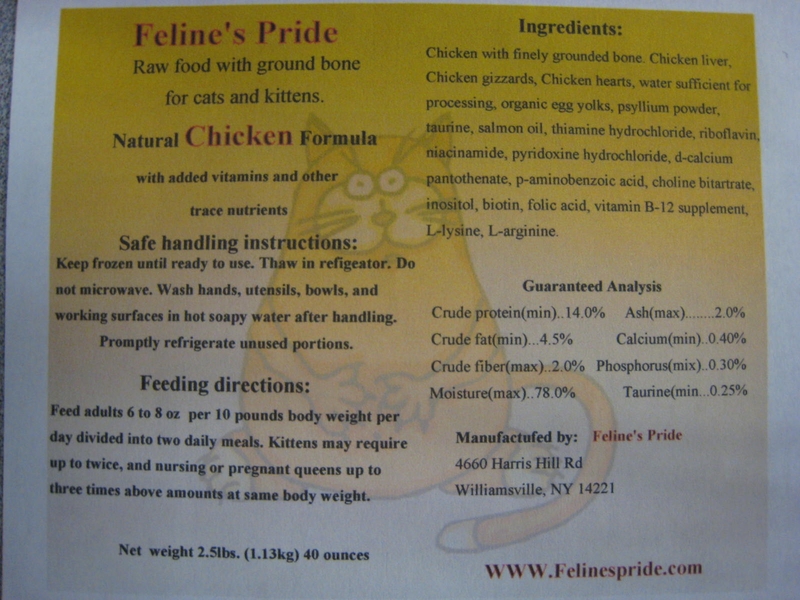 The affected brands were found to contain an inadequate level of thiamine, which may cause clinical signs of thiamine deficiency in cats eating this food. FDA is working on this situation and will provide additional information as it becomes available. If your veterinarian diagnoses that your cat has become ill from consuming the affected pet food, please ask your veterinarian to file a report with FDA. Diamond Pet Foods has issued a voluntary recall on the following date codes of Premium Edge Finicky Adult cat food and Premium Edge Hairball cat food: RAF0501A22X 18lb., RAF0501A2X 6 lb., RAH0501A22X 18 lb., RAH0501A2X 6lb. The date of manufacture is May 28, 2009. All retail outlets shipped the above lots were contacted, asking them to pull the product from the store shelves. The retailers were also asked to contact their customers via email or telephone requesting them to check the date code of the food. However, if you or anyone you know has these date codes of Premium Edge cat food, please return them to your retailer. Symptoms displayed by an affected cat will be neurological in nature. Symptoms may include wobbly walking or muscle weakness, paralysis of the hindlimbs, seizures, ventroflexion (bending towards the floor) of the neck, and abnormal eye movement called nystagmus. Any cats fed these date codes that display these symptoms should be immediately taken to a veterinarian. The company tested the product and found no contaminants in the cat food; however the cat foods were deficient in thiamine. Diamond tracked the vitamin premix lot number that was utilized in these particular cat foods and have performed testing on another lot of Premium Edge cat food that used the same vitamin premix, and it was not deficient in thiamine. No other neurological signs have been reported on any other product manufactured by Diamond Pet Foods. To contact Premium Edge Pet Foods, please call 800-977-8797 between the hours of 8 am and 5 pm central time, Monday through Friday. Pet Food Express has now announced that they are pulling from their shelves all Wysong dry products, not just the recalled lots of dog food, until Wysong can demonstrate that the food is safe and unaffected by the current problem. Pet Food Express deserves kudos for their attention to product safety.